<Golden Globes nominations 2016: will it be a Blanchett-DiCaprio one-two? Raf Simons left Dior in October. High time, surely, for a bells-and-whistles unveiling of a new star designer, ready to put his or her stamp on 2016’s collections. Conventional industry wisdom goes that to stage a show without a designer figurehead is a waste of considerable expense; on the other hand, a house of the status of Dior could never suffer the ignominy of not giving up their prime spot at Paris fashion week. But according to WWD, Dior has handed responsibility for the next two collections – haute couture, to be shown in January, and ready-to-wear, which presents at Paris Fashion Week in early March – to the design team who worked under Simons. This is a bold move on the part of Dior – especially since Simons’ deputy, Pieter Mulier (remember him from Dior & I? ), has also recently left the company. But the fashion industry loves a radical new trend, and right now the radical new trend is to nurture the design talents harboured in house, rather than take a risk on a headline-grabbing new signing. The great success story of 2015 has been Alessandro Michele, who was an unknown name when, in January, Gucci promoted him from studio anonymity to head-honcho status. 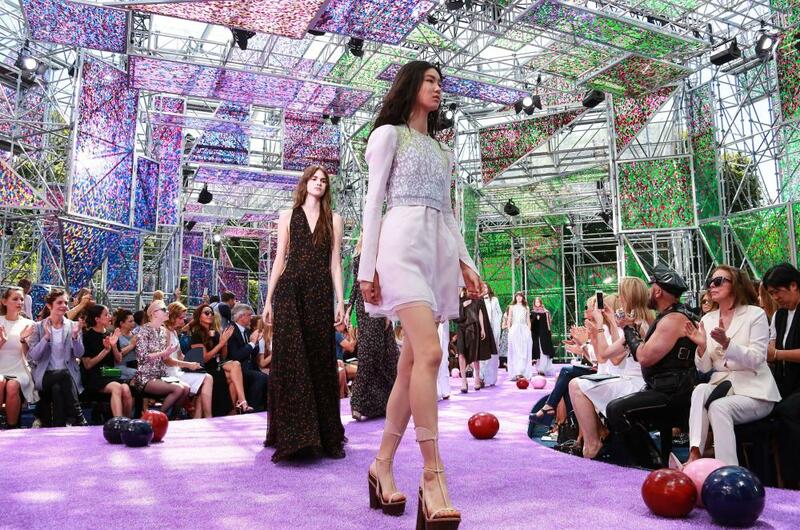 The move by Dior suggests that LVMH may be looking to emulate Kering’s success with Gucci. The news from Dior – or rather, the absence of news from Dior – suggests fashion has come full circle. It was Dior who created the starriest star designer of them all, in John Galliano. The celebrity hoop-la that surrounded Galliano’s Dior years – the theatrical curtain calls, the backstage cult of personality – set the tone for a decade in which having a star name was seen as essential to the status of a fashion brand. After Galliano, Simons was seen as a contrast: a quiet, no-drama talent who could rebuild Dior. Simons’ early exit, after the house had invested heavily in refitting boutiques to match his vision, seems to have left Dior licking its wounds. Unsubstantiated rumours have linked Alber Elbaz to Dior haute couture, and Erdem to ready-to-wear, but this announcement appears designed to shush talk of well-known names. The no-name name is the new hot name. That’s all we know for now.